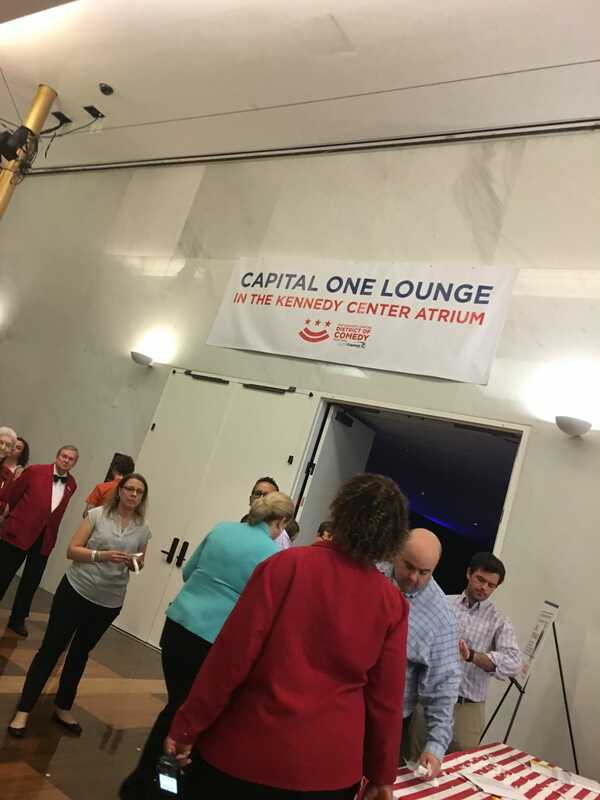 In October 2014, the John F. Kennedy Center for the Performing Arts announced a five-year $5 million gift from Capital One to fund Comedy at the Kennedy Center, a signature program focused on elevating comedy as an art form and uniting the local community together through laughter. This year, the Kennedy Center presented its first District of Comedy Festival. The festival spans four days, from June 22-25. 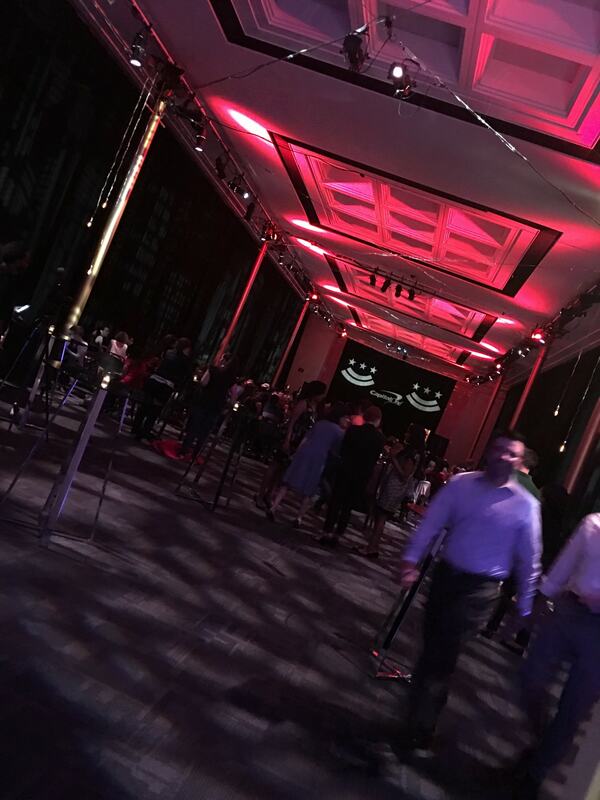 I had the pleasure of attending the kick off! WOOT! I was so excited to attend the event with my husband because we are true lovers of comedy. When we first got married, Bill and I were on a comedian kick! It felt like those shows were the only ones we taped. 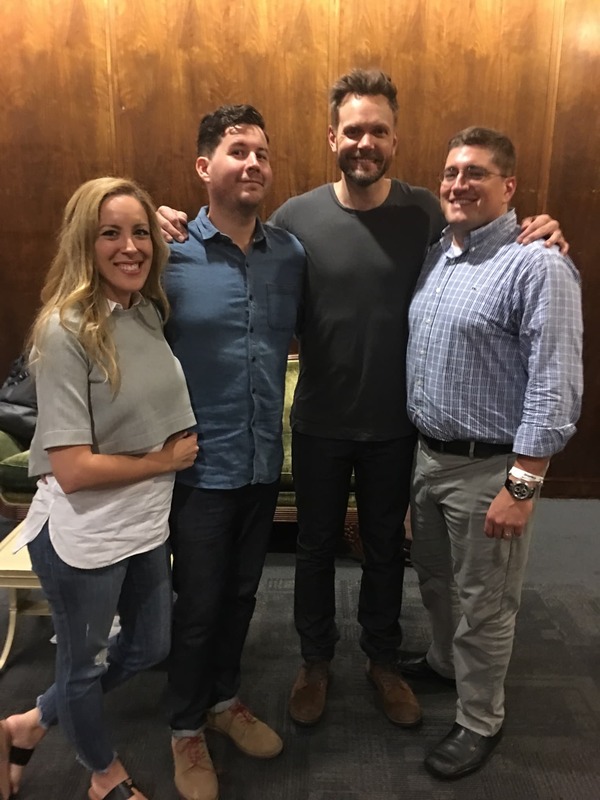 (We didn’t say DVR’d back then… so I feel like I should stick to the same lingo) One show that we would NEVER miss was Talk Soup with Joel McHale. It was our FAVORITE. I’m not someone that watches reality shows on a regular basis, but hearing Joel make fun of these shows was one of my TOP pastimes. 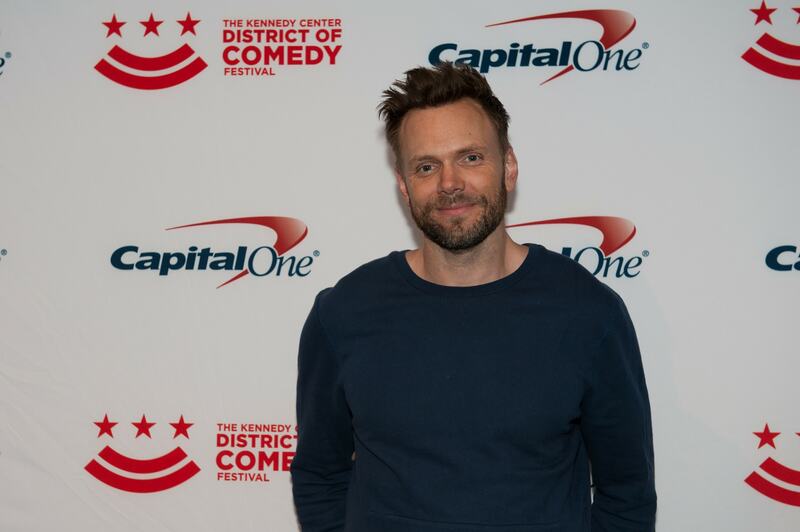 To kick-off the Festival, Capital One hosted a private show with comedian Joel McHale intended to celebrate Capital One customers and Washingtonians. 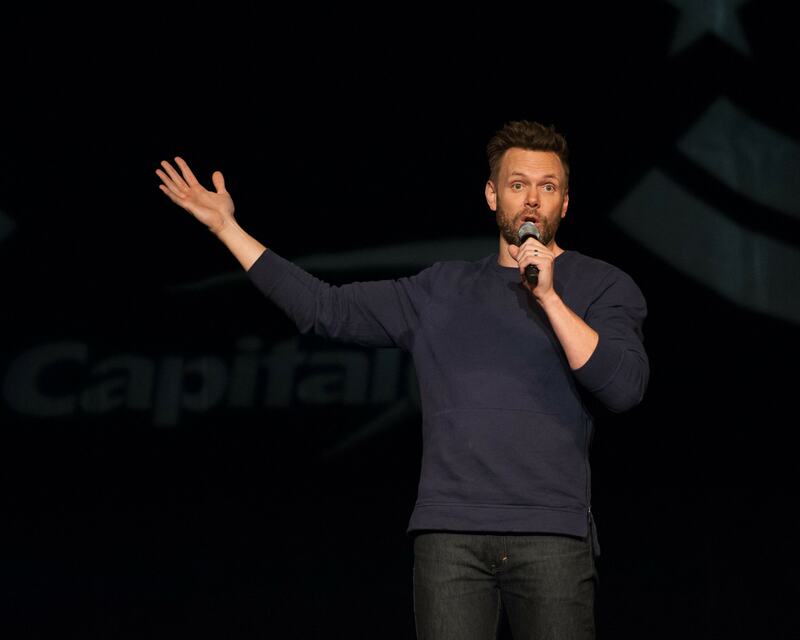 Capital One’s hope is to continue fostering advancements of comedy to spur conversations around societal issues that communities across the nation face on a daily basis. Let’s talk about the serious stuff… but let’s do it in a way that’s approachable. I totally appreciate this! Bill and I grabbed our seats and eagerly waited for the show to begin. I can’t tell you the last time I went to a comedy show. Eons ago! As soon as I sat down, I realized that I needed to incorporate laughter back into our life. Sure, we have three kids… but we are so LUCKY to live 30 minutes from Manhattan. One comedy show after the other. It’s on, people. It’s on. Back to the District of Comedy show. 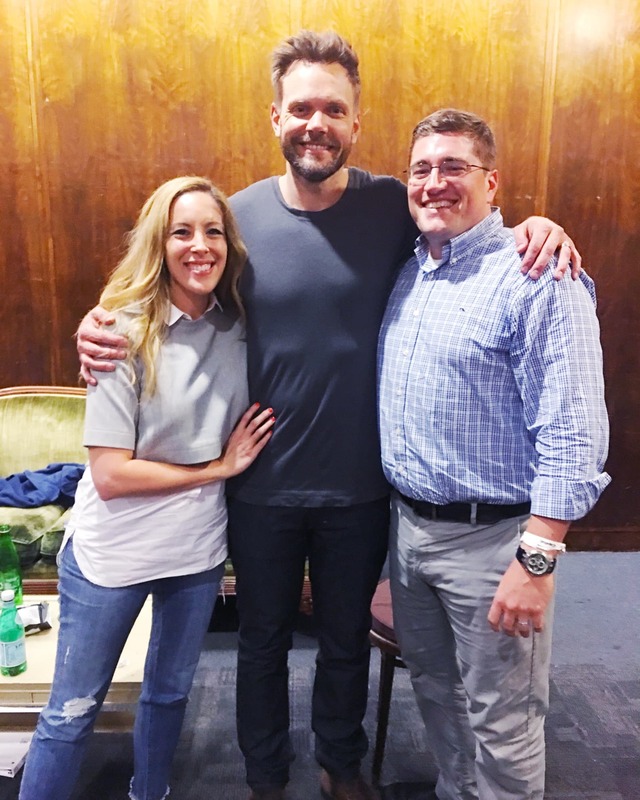 NATURALLY, Joel McHale did NOT disappoint. My husband was c-r-y-i-n-g with laughter. It was to the point where I started to nudge him to quiet down. Gasping for his life and he didn’t care how inappropriate the joke was either. In fact, the more inappropriate – the better. But how could you resist the charms of McHale? You can’t. That’s how. When the set was over, Bill and I had the chance to go backstage and chat a bit with the comedian and he was as nice as you’d think. Also tall. Very, very tall. Which – if you are a Soup fan – makes the Ryan Seacrest jokes just that much FUNNIER because now I visualize the DIFFERENCE between the two. My husband is 6 foot! Ryan… is not. 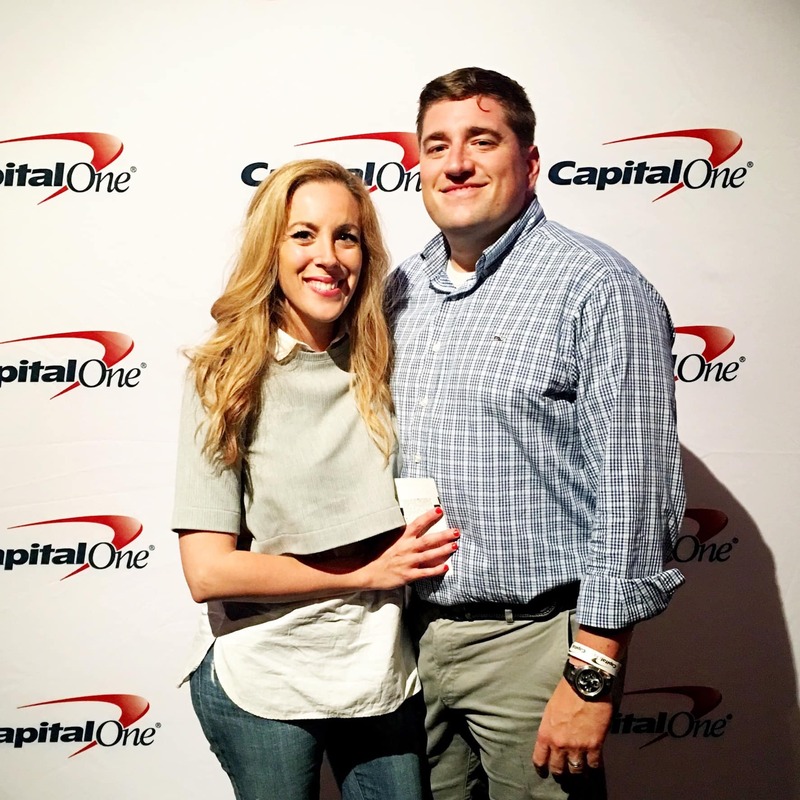 For more information about Capital One, click here. To check out the Kennedy Center’s District of Comedy line up, click here. Whatever you decide to do, choose laughter. Fun times. I truly believe (through experience) laughter is an integral requirement of getting through life. 🙂 I’m a Capital One fan (and customer) myself. Very cool to see them involved with this! I love a good comedian, but I must say I’ve haven’t heard of McHale. I must look him up. Sounds like such a great event! I don’t know much about Joel McHale but he is a real riot from what I’ve seen. Comedy festivalss always seem like such a blast! I love comedy shows! The District of Comedy Festival sounds like it was awesome – I am sorry that I missed it! This must have been a great event. I love a good comedian and Joel McHale is really hilarious! Lucky you! I love him! And I never knew he was that tall…the Ryan Seacrest jokes definitely seem funnier now! I love comedy, this looks like such a cool experience! The last comedy show I attended was a Jeff Dunham show, it was awesome, but it’s been so long! Joel McHale is the funniest man alive. I wish I could have been there for that show! Ah everybody needs a good laugh… a lot! Sounds like you had a night to remember! Joel McHale is so hilarious. I loved him in Just Go With It. I would have loved to have had the opportunity to meet him in person. How amazing is that?! I would love to be able to meet Joel McHale in person. He’s so talented.